An eMTB with Yamaha PW-X central motor and a maximal torque up to 80Nm. In 2017, the BH Bikes brand extended its range of cross and trekking electric bicycles with the Rebel series, which is equipped with the Yamaha PWseries motor. This 250W motor offers assistance with up to 80Nm of torque. In conjunction with the frame integrated, 500Wh battery, this make Rebel a fantastic e-bike. The REBEL model series comes with fantastic utility value for a very interesting budget. Unfortunately, the number of pieces in GREATEBIKE.EU is very limited, so please contact us for current availability. The controls are simple and intuitive thanks to the Yamaha's modern LCD display. With a weight of only 21.8 kg including the battery, manipulation with the e-bike is very simple. Rebel 29" can carry up to 140 kilograms. 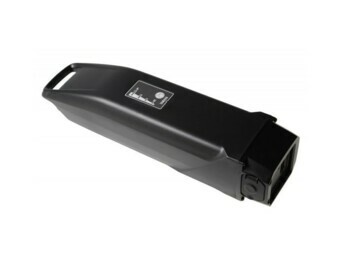 Yamaha PW-X, center 250Wh / 80Nm.